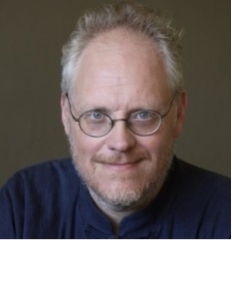 This essay will endeavor to look at the forgotten pre-history of this phrase in reportage and diplomatic discourse, a task made possible thanks to the creation of fully text searchable versions of historical newspapers including the New York Times, Washington Post and Christian Science Monitor. While this analysis bears out that Gullion was the first to use the phrase in its modern meaning, it also reveals that Gullion’s phrase was not so much a new coinage in 1965 as a fresh use of an established phrase. Ironically, this new use of an old term was necessary because the even older term “propaganda”–which Gullion confessed he preferred–had accumulated so many negative connotations. The first use quoted by the New York Times was in January 1871, in reporting a Congressional debate. Representative Samuel S. Cox (a Democrat from New York, and a former journalist) spoke in high dudgeon against secret intrigue to annex the Republic of Dominica, noting he believed in “open, public diplomacy.” It was a use which anticipated the major articulation of the phrase thirty-five years later in the Great War. The New York Times used the phrase on May 9, 1916 in its coverage of the so-called Sussex Pledge, a declaration issued on May 4 by the German government to restrict its submarine warfare. Reviewing U.S. reactions to the pledge, the New York Times quoted an editorial from that day’s Boston Herald, which declared: “One of the evils of public diplomacy is the necessity of continued letter-writing, in which the responsible head of each nation must save his face with his own people as well as communicate his purposes to the other side.” The observation has its echo today in the problems leaders face now that all their domestic utterances can be heard round the world. On February 11, 1918 President Wilson himself used the phrase in his so-called “Four Principles” speech to Congress, in which he relayed the response of the German Chancellor, Georg von Hertling, to the fourteen points, noting: “He accepts… the principle of public diplomacy.” Wilson’s phrase was adapted from Hertling’s original statement to the Reichstag on January 24, 1918 in which he endorsed what he called “Publizität der diplomatischen Abmachungen” (rendered “publicity of diplomatic agreements” in the London Times). Reports of Wilson’s speech occasioned the first use of the term “public diplomacy” in the Christian Science Monitor, and the only use of the phrase in the Los Angeles Times between 1899 and 1957. In July 1918 the U.S. Senate considered the issue of “public diplomacy” in connection to a bold proposal by Senator William E. Borah (R-Idaho) that its debates over treaties henceforth be public. The proposal was defeated by fifty votes to twenty-three. The phrase “public diplomacy” endured in its idealistic Wilsonian “open covenants” sense throughout the interwar years in the rhetoric of the internationalists like James Shotwell and Clarence Streit, and in similarly inclined editorials in the pages of the Christian Science Monitor. In 1928 a Christian Science Monitor reporter, J. Roscoe Drummond, proclaimed an “era of public diplomacy” in a prize-winning essay, “The Press and Public Diplomacy,” which stressed the moral duty of the news media to report international affairs accurately and dispassionately so as to reduce tensions. Its idealism became increasingly remote from the realities of the deteriorating international scene. A correspondent of the London Times described the arrival of new British troops in the Saarland in December 1934 with marching bands and abundant good humor towards the locals as “a striking demonstration of public diplomacy” in the face of defiant displays of Nazi banners. In 1936 an Associated Press dispatch from Paris noted that Leftists were applauding the pledge of the new (and short-lived) French premier Albert Sarraut to “use ‘public diplomacy’ in foreign affairs.” The term was seldom used during the Second World War. Observers of the diplomatic scene including Louis Halle, veteran British diplomat Lord Strang, or James Reston of the New York Times now used “public diplomacy” to evoke the element of showmanship in the diplomacy of Khrushchev, Kennedy, and others. As the practice of public diplomacy had come to overlap with propaganda, Gullion needed only to carry the term public diplomacy a relatively short distance to relocate it entirely in its new meaning as an alternative for propaganda. 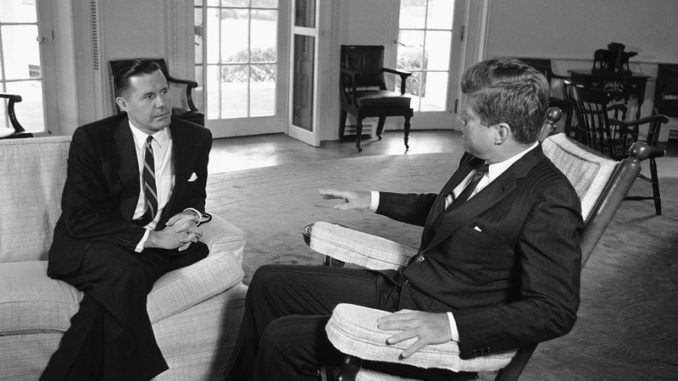 For many years the term had limited traction outside the beltway, its old “open diplomacy” use also remained in circulation in the work of some writers like Washington Post diplomatic correspondent, Murrey Marder. The term did not figure in an academic book title until 1972. The reason that the term “public diplomacy” took off in 1965 was that there was a real need for such a concept in Washington DC. A dozen years into its life, the United States Information Agency needed alternative to the anodyne term information or malignant term propaganda: a fresh turn of phrase upon which it could build new and benign meanings. Gullion’s term “public diplomacy” covered every aspect of USIA activity and a number of the cultural and exchange functions jealously guarded by the Department of State. The phrase gave a respectable identity to the USIA career officer, for it was one step removed from the “vulgar” realm of “public relations” and by its use of the term “diplomacy,” explicitly enshrined the USIA along side the State Department as a legitimate organ of American foreign relations. The term itself became an argument for USIA and against the rump of exchange and cultural work at State. 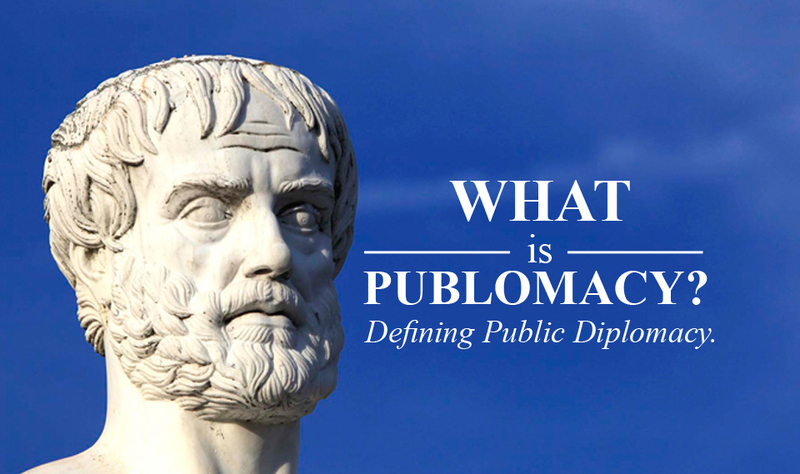 If public diplomacy existed as a variety of diplomacy in the modern world — the argument ran — then surely the United States surely needed a dedicated agency to conduct this work, and that agency was best structured to control all work in the field. The term paid dividends a decade later. In 1978 USIA was reorganized according to the logic of the new terminology and at last acquired dominion over the entire range of American activity in the information field. The interdependence of the concept of public diplomacy and USIA is suggested by the fact that following the demise of the USIA in 1999 the Murrow Center at Tufts became — and remains — the Murrow Center for International Information and Communications. Yet the phrase had, by 1999, more currency than a single agency or a single country. It was destined to live on. The Reagan years saw both an increased expenditure on public diplomacy and a widening use of the term in congressional hearings, scholarship, journalism, and among practitioners. The Reagan White House provided an unhelpful challenge to the dominant benign definition when it created its own “Office of Public Diplomacy” to oversee the domestic selling of support to the Contra rebels in Nicaragua. The term hence made an unwelcome appearance at the Iran-Contra hearings. 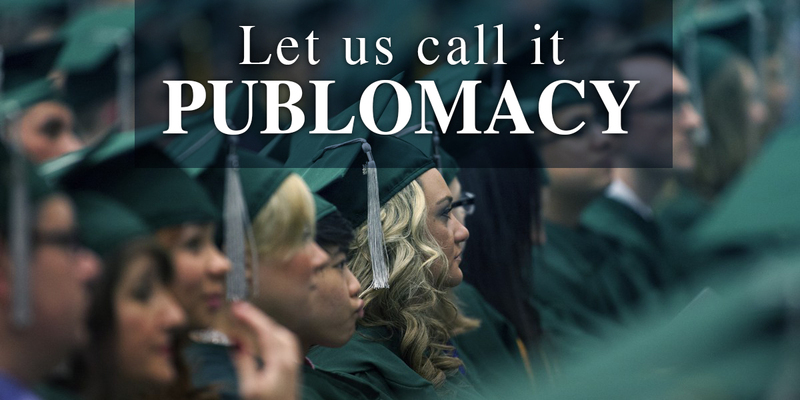 During the course of the 1990s, the term public diplomacy finally entered common use in foreign policy circles overseas. In Britain, for example, the Blair government established a Public Diplomacy Strategy Board. In the years following the attacks of September 11, 2001 it finally entered American public consciousness. In the wake of the Asian tsunami even President George W. Bush used the phrase, though telling an ABC interviewer “Our public diplomacy efforts aren’t … aren’t very robust and aren’t very good compared to the public diplomacy efforts of those who would like to spread hatred and… vilify the United States,” he went on — with an excruciating lack of tact — to suggest that America’s tsunami aid might make a difference to this. The highly publicized appointment and teething troubles of the new Under Secretary of State for Public Diplomacy and Public Affairs, Karen Hughes, gave the final impetus to its currency within the United States, though elsewhere in the world the term could still produce blank looks. And what lessons can be learned from the ninety-year career of the phrase “public diplomacy?” Practitioners and scholars of “public diplomacy” as presently defined should at least consider that their interlocutors may understand nothing by the term, or still understand the term in its 1856 or 1916 meaning, or may already understand the term in a 2016 sense of which we are not yet aware. 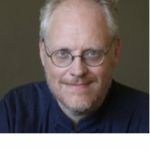 Share the post "“PUBLIC DIPLOMACY” BEFORE GULLION: THE EVOLUTION OF A PHRASE"